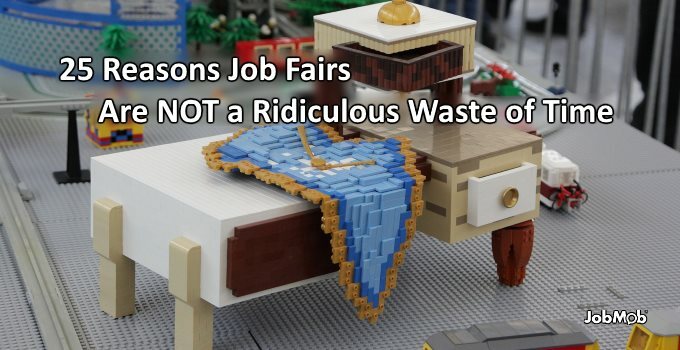 Are career fairs a waste of time or are you wasting time at career fairs? In 2002, I was on the job search in Israel a few months after leaving my job at Amazon.com in France. I had just started looking for a programming-related job in e-commerce when I heard about a large upcoming tech career fair in the Tel Aviv area. I was a bit skeptical about going but I put it on my calendar. Living in Jerusalem at the time, I later had to commute for over 90 minutes just to get to the fair. Once registered and inside, I was handed a large bag of industry magazines and a map of the convention space, which I used to see if there were any interesting companies to apply to. Armed with my resume, I spent the next 30-40 minutes walking around. I specifically remember giving out less than 10 copies of my resume in all and only having real conversations with two companies' HR rep.s. I then had a return commute of over 90 minutes to get home, meaning that I spent much more time on the bus that day that actually progressing my job search at the fair. I felt like the fair had been a waste of time, but the truth was that I had wasted my time at the fair. If I had known what I could accomplish at the fair, I would have had a more fruitful event. Career fairs can be effective. It's become too easy to just job search from your computer and it's easy to forget that there really are many effective ways to progress in your job search outside. Sometimes habit and routine are not the best thing. Going to a job fair should be a welcome change of pace. Some companies will send people who actually do have an impact on hiring decisions, access to whom would normally be blocked at their corporate reception desk. There's a big difference between the atmosphere of a career fair and sitting across someone in an office. Company reps come with that in mind, and you need to take advantage. Just like the 30 seconds you might have to impress someone in an elevator ride, your chance to talk with a company rep. might be very short if there are a lot of people in line behind you at the fair, so you need to impress quickly. By meeting with company reps in the informal setting of the job fair, even for only a minute or two, you'll break the ice and become more comfortable sitting across them in an office. As you become more comfortable and your self-confidence grows, you'll make a better first impression as the fair goes on. Learn which companies you might want to work at, which open positions are relevant, etc., anything that can help you adapt your resume to align better with company needs. If you think your resume will impress, submit it. If you don't think your resume will impress, perhaps because it hasn't impressed others at the fair, ask for feedback from company reps. If you're lucky, the fair may also have local resume writers to help you. This could be to send them an improved version of your resume – based on feedback/better understanding of company needs – instead of the ones you brought to the fair, to schedule a job interview, or perhaps even to help a friend's job search with a referral. In hopes of attracting the best job seekers, Google is famous for giving out free stuff or schwag at their recruiting booths: pads, pins, pens, magnets, yoyos, you name it. And people love taking it home too, and not just as a sign that the going to the fair was worth it. 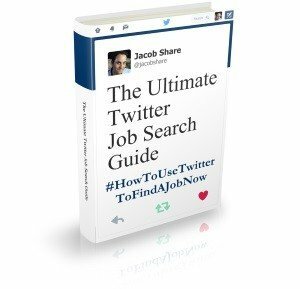 Critical for students and first-time job seekers. This might be your first introduction to certain terms, expressions, techniques and more. In the case of university job fairs, company recruiters want exposure to a new generation of potential candidates who many have never heard of them before. Critical for people who have been out of the job market for 5 years or more. Which companies have fallen out of favor? Which companies are hot? Who's getting hired there? By browsing the open positions and talking to recruiters, judge where your current skillset would most be appreciated and if there are there skills in high demand that you don't have but could learn quickly enough to apply. Bonus: Are Job Fairs a waste of time? If you're considering a career change or just if you're open to one, recruiters and other company rep.s at the fair can make suggestions for positions they're trying to fill. Regardless of whether company reps make suggestions, keep your eyes and ears open for anything new and interesting, especially if there's demand for it i.e. more than one company has a related opening. Besides which skills are currently in demand (and which aren't), which techniques are working? Which techniques no longer work? Ask company reps what kinds of candidates are impressing them most, ask them how the market has changed in the past year and how they think it will change in the coming year. Company representatives are supposed to represent everything the company is about. The first impression they make on you should have an impact on you deciding whether to spend your precious time chasing them for a job. After meeting the different companies at the fair, choose to go back for a second impression at the companies that deserve more of your time. 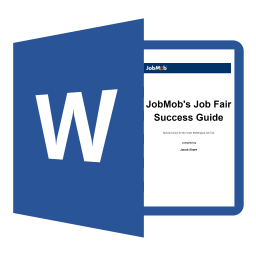 One of the most under-used job fair tactics is to talk to other job seekers at the fair! Share tips, job seeker business cards and feedback, and look for ways to help each other out. Depending on what kind of fair you attend and the kind of position you're aiming for, the people in line with you may actually be the ones applying for the same openings. No need to be sneaky or manipulative, but if you have a great idea to stand out and impress a certain employer, you might want to keep it to yourself. That doesn't mean you can't learn from them, though. Take advantage of the quantity and different kinds of people at the event. Prepare some questions in advance that could affect the direction of your job search, then go out and ask people. Take a survey if that will help. Be bold. In recent years, more and more fairs have begun offering free talks by job search experts and coaches, giving advice on how to get results now. While not all job fairs are created equal in what they offer job seekers, they do all offer job seekers many of the above possibilities in one single location, saving you a lot of time and effort. If you try to do even half the things on this list at your next job fair, I guarantee that you'll get new ideas that will help move you forward to your next job, making it all worth it. Are career fairs worth going to? Absolutely, if you know what to look for. What was your most memorable job fair and why? Tell us in the comments. Have you ever gotten a job from a job fair? Should You Attend A Job Fair To Find A Job? 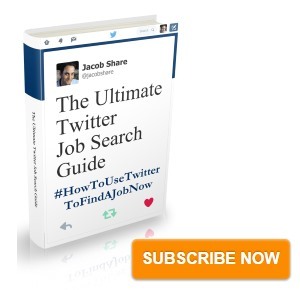 Subscribe to JobMob via RSS or email and follow me on Twitter for more new ideas on classic job search tactics. Hello i am a bug twitter fan and that I am concern about the American people of what jobs out there are really doing the hiring in Minnesota. Jacob, great article. I especially like #23 – Take seminars and classes. We are in the process of organizing a job fair and it is good opportunity for us to promote the free workshops that we offer every week. Thanks! There’s no statistics about how many people actually find a job at a job fair because the numbers are so horribly low that it’s embarrassing. Job fairs are worthless. There’s too many companies there that aren’t even hiring, and too many of those lame for profit colleges that take up too much space. Then again if they weren’t there, it sure would be an empty job fair. I’ve been to a few of these and they’re a waste of time and gas money. One even asked us for our social security number before entering. With identity theft being so rampant, they should NEVER have asked this. Being asking for your SSN at the door is ridiculous, and I would hope it’s even illegal. The useless fairs you went to- were they for students? It sounds like it, and unfortunately those fairs do tend to be less interesting than industry fairs or area-based fairs (town/city/region). I remember going to my first career in the 1990s. It was Westtech – since you are in Israel, I am not sure if you ever heard of it. It was a huge career fair where hundreds of companies had booths and thousands of people clamored for 5 minutes with the talking head representing xyz company hoping to convince them that they’re worthy of a second glance. This was no college career fair; people much older than me — in their 30s, 40s and 50s — donned their nicest business attire, polished shoes, padfolios and a stack of resumes on heavyweight business paper thinking that they somehow would wow the ignorant sourcer that they must hire THEM for their next engineer, technician, accountant, sales person, or what have you. Looking back, I now realize how it was truly a waste of time. You were given mere minutes to do what you can do more elegantly even in a 30 minute phone screen and were never given any indication after the event that you were in their “system”. Sadly it has only gotten worse since then. There are still a few career fairs here and there but they target a different audience — if you want a “career” in the fast paced world of retail sales where you can make (pause for effect) $58,000 a year if you are REALLY GOOD, or if you want to give your resume to an agency which will call you in for a temporary receptionist job (it has potential to go long term – but no promises! ), you are interested in buying a franchise, or worst of all you want to be a target of unscrupulous companies that offer to “help you find your next job” but you have to pay $5,000 IN ADVANCE with no guarantees of success, then by all means – don’t let me stop you — they are fantastic! Thanks to the world of Social Media, it’s truly easier than ever to connect with someone on LinkedIn with a few choice sentences asking for an informational interview. That will go a lot further than wasting a day at an event that won’t bear fruit for most people. Some cities can be a really tough nut to crack job-wise, especially if you don’t have a network in place and/or you’re new in town. In 2015, when I relocated from the Northwest to Phoenix, I initially found it difficult to find work. In fact, I wasn’t getting interviews at all. I found out the reason why was because I wasn’t considered a “local” and didn’t have a network. Despite my new AZ address on my resume, all my job experience was from out of state and the prospective employers figured I wouldn’t stay if I couldn’t hack the summer heat, so why bother hiring? So I found going to a job fair useful, as well as signing on with a temp agency. I was able to find a job that way and now I’ve been on my present job just over a year and a half. 1. Companies send reps to job fairs even when they are not hiring–even when they are laying off thousands of workers. Bank of America had reps at one job fair I attended, and the next day laid off 30,000 employees. Anyone here seriously think that BOA was REALLY into hiring new people? 2. Most companies participate in job fairs as a PR effort, not because they are really hiring. 3. Some companies participate in job fairs with no intention of hiring at all, but simply to get a feel for the job market, and how easy it would be to get new hires if they really did want to start hiring again. 4. Companies send low level reps to job fairs. They don’t send hiring managers. Forget getting an interview at a job fair unless it’s for a commission-only sales job. These jobs are always open because there is a 99.99% failure rate. And if you are hired, remember that the company has zero investment in you, and they expect you to fail. 5. If you do go to a job fair, and talk to company reps, they don’t even want a copy of your resume. They will tell you to go to their web site and apply online. 6. The vast majority of companies at job fairs are peddling commission-only sales jobs, or minimum-wage jobs like security guards or fast food restaurants. Then there are the franchise pushers masquerading as employers. 7. In addition to the faux-job outfits, there are also the schools hawking their courses at the job fairs. Are you really looking to take more courses? Hell, no. You are looking for a job–you probably don’t have surplus funds for more schooling, anyway. 8. Realize that the job market is crap right now. It has been crap since the 1990s. Companies are bringing people over from India on special visas to displace American and Canadian workers. They are outsourcing everything they can to India and Asia. 9. If you are over 50, you are killing yourself by going to job fairs and letting the employers know that you are old. HR people are schooled to screen out older applicants, no matter their credentials. Deny it if you want, but it’s true. 10. Forget all that crap about creating a “brand” for yourself. You are a human being, not a product or a brand. You must find people to work with who first respect you as a human being. Otherwise, while you may find a job, you will end up being just a cog in a machine, and you will work for people who have no idea of what a work-life balance is supposed to be, and they will burn you out and throw you on the scrap heap afterwards. I recently was hired on with an international company that was moving their back office operations to our city. They held a job fair in November 2017 at a local hotel. They posted some positions that they were hiring for, but not one I was qualified for. I decided to attend and find out if I could filter out a contact person to send my resume’ to. My work background was as an Admin Assistant and I knew eventually they would have to hire for such. I attended and was able to pick up a business card from a recruiter. I sent my resume’ to him and registered on their website. I would periodically check their website as well as indeed.com to see if there were any such openings. A few months later, an Admin Assistant position opened up. I applied for it, but didn’t hear back from anyone. Then out of the blue a email was sent to me a month later from a recruiter asking if we could set up a phone call. We spoke and during the conversation I found out the reason why he reached out to me in the first place was because he got tired of receiving 50 – 75 resumes’ a day and decided to look at resume’s that were submitted at the initial job fair. My advice is attend job fairs. Not all are a waste of time and you never know what it may lead to. I am an older person and yes, age discrimination is alive and well even though it is illegal in the United States. But what boosted my spirits was I was hired totally sight unseen, even though 54% of the new hires for our office are millennials. Most of these reasons have a similar connotation. So in actuality job fair’s are really a waste of time.